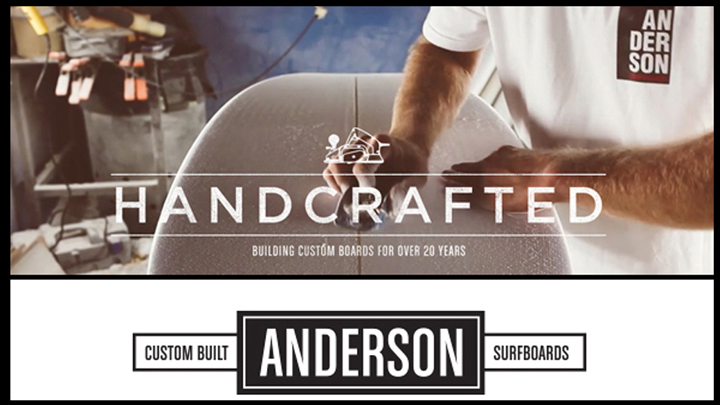 This Hi Def Live Streaming Cam is brought to you by Anderson Surfboards! El Porto is a seaside community located in the South Bay area of the Greater Los Angeles metropolitan footprint. The beach itself is protected as part of the State of California State Parks system, and is located between Manhattan Beach and Dockweiler. The beach and community get their name from a mix of Portuguese and Spanish, being loosely translated as “The Port”. The beach provides a range of amenities for visitors, including a bike trail adjoining the beach with roller skate and bicycle rentals conveniently located. Metered parking, volleyball courts, and restrooms add to the experience. El Porto has long been a popular surfing destination for Southern California locals and travelers alike. Variable conditions are a hallmark of this beach break, with waves breaking to the left or right as winds and currents affect swells. One of the unique features of the El Porto break is that just offshore, a deepwater canyon and inshore sandbars both combine to help to push swells higher than in neighboring breaks. Therefore El Porto tends to be consistent, even when other beaches along California’s coast are reporting flat conditions. It is not uncommon to find overhead waves here, which helps cement the break as one of the surfing community’s favorite spots. California surfers and people all over the world have come to know Swell Magnet for our live, streaming El Porto surf cam and detailed, up-to-the-minute surf reports. Our high definition cam at this break is positioned at the Easton Gym, giving viewers an incredible view of current conditions. At a glance, surfers can check on wave heights and weather at their favorite breaks along Calfornia’s coast as well as in many other locations in North and South America. Swell Magnet was founded and is operated by a team of passionate surfers. In addition to our HD surf cams, we prepare live surf reports so that surfers and watersports enthusiasts can see how their favorite breaks are performing. Water temperature, wave height and period, wave direction, and prevailing currents are all part of the information in our detailed Easton Gym El Porto surf cam and reports. Located in the South Bay area of Greater Los Angeles, El Porto is part of Manhattan Beach. It can be found between Dockweiler and Manhattan Beach, and is protected as part of California’s state parks system. Its boundary to the north is 45th Street, bordering El Segundo, and runs south to 38th Street. It gets its name from the Spanish and Portuguese languages and is loosely translated as “The Port”. Beside surfing, the beach itself offers several other amenities, including metered parking, volleyball courts, and roller skate/bicycle rentals for use along the adjacent bike trail. The break is popular with the surfing community throughout Southern California. El Porto is known for its variable waves that break left or right, depending on currents and wind conditions. An underwater canyon offshore and sandbars in the break itself help produce waves that tend to be larger than other beaches in the area. Those waves are consistently higher, even when other beaches report flat conditions. Double-overhead waves are not uncommon here. Surfers all over the South Bay area rely on the waves here to hone their skills and to enjoy California’s beach culture at its finest. The best way to keep tabs on surf conditions is by viewing our live HD El Porto Beach surf cam. 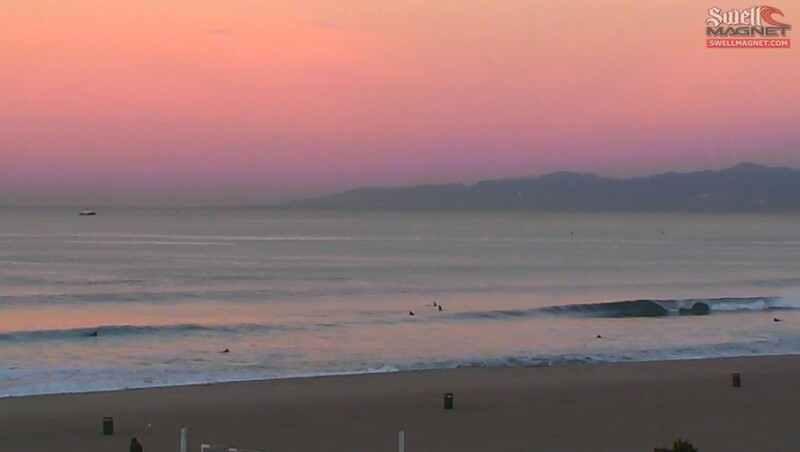 In real time, surfers in the South Bay area or anywhere in the world can view current conditions. Our exclusive El Porto Beach surf report gives live, up-to-the-minute information on water temperature, wave height and period, wave direction, and weather conditions in the area. Swell Magnet’s team of surfing experts monitor and evaluate prevailing surf and weather conditions, giving surfers the ability to view waves in high definition without a wasted car trip to the beach.